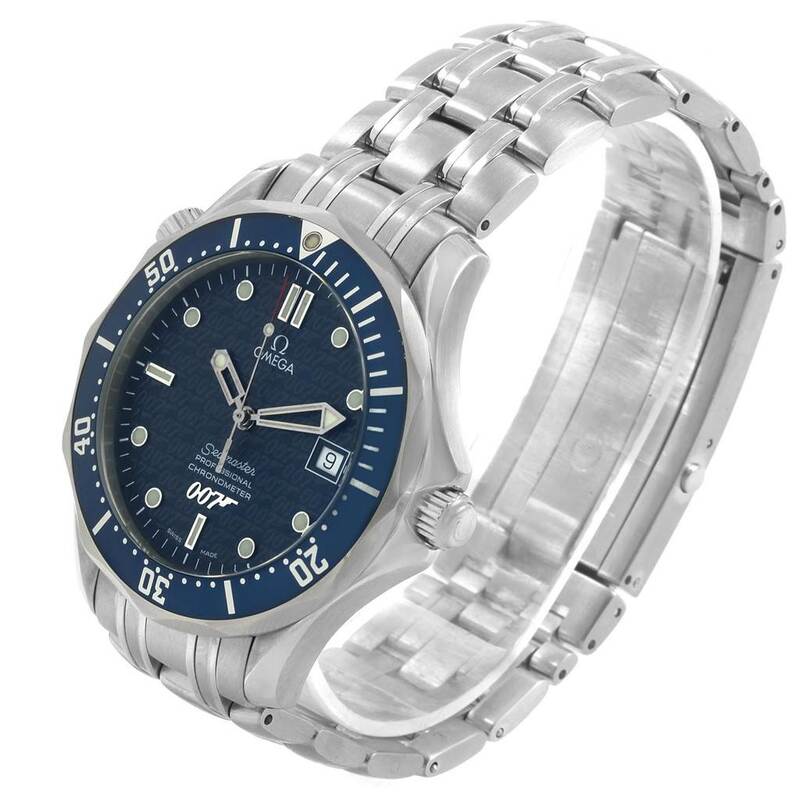 Brushed and polished stainless steel case 41.00 mm in diameter. Omega logo on a crown. 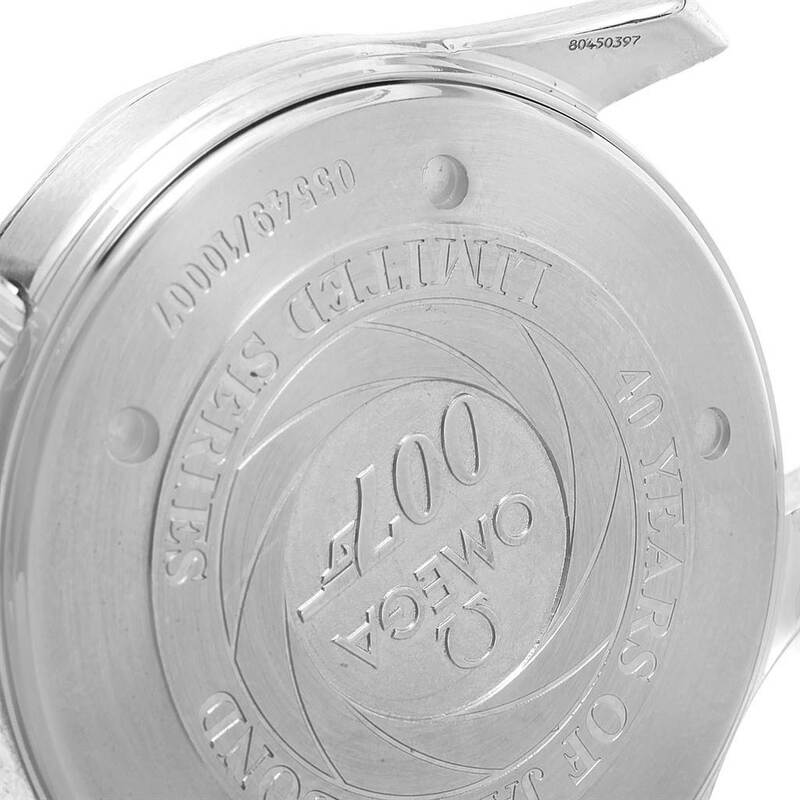 Screw down back with commemorative inscription "40 years of James Bond" and 007 gun logo. Blue unidirectional rotating bezel with minute markers. Scratch resistant anti-reflective domed sapphire crystal. 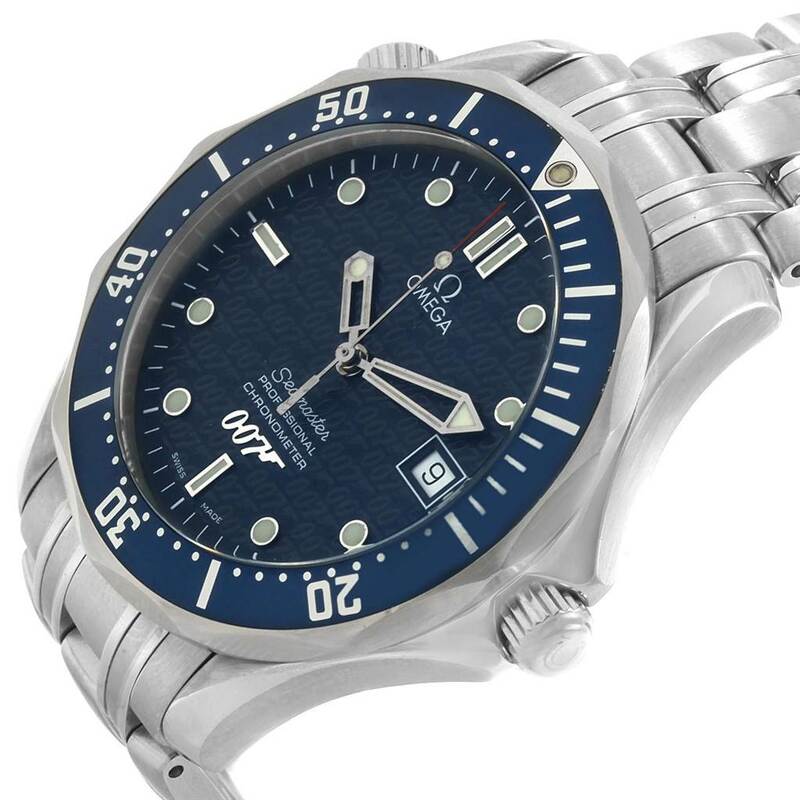 Blue dial with "007" and gun logo pattern. Luminous skeleton hands and hour markers. Date window at 3 o'clock aperture. Iconic rifled gun barrel emblem. 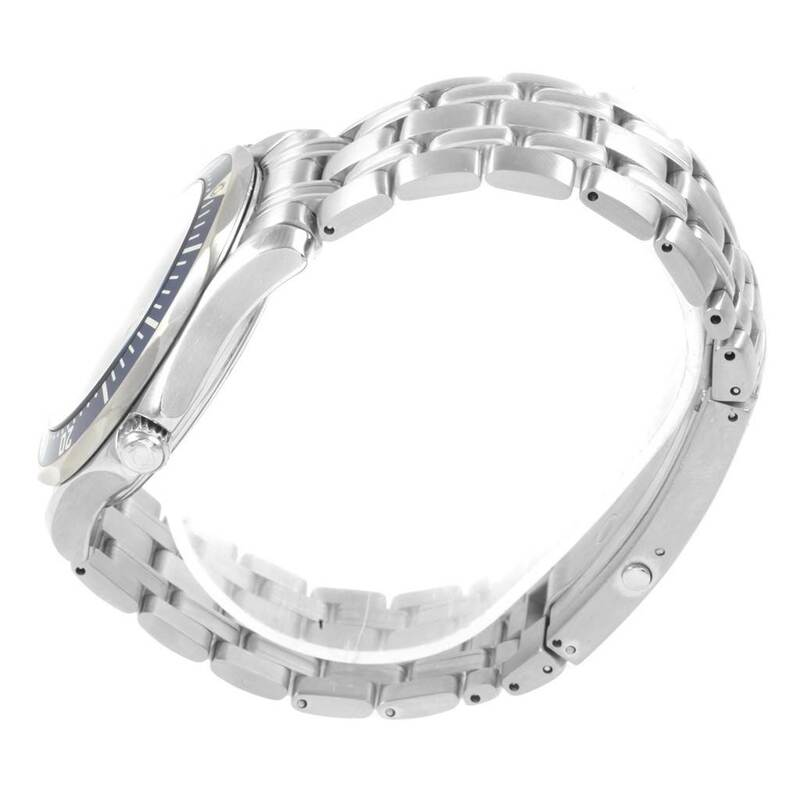 Brushed and polished stainless steel specially designed James bond series bracelet. Fold over safety clasp with two push battons. Fits 8" wrist. 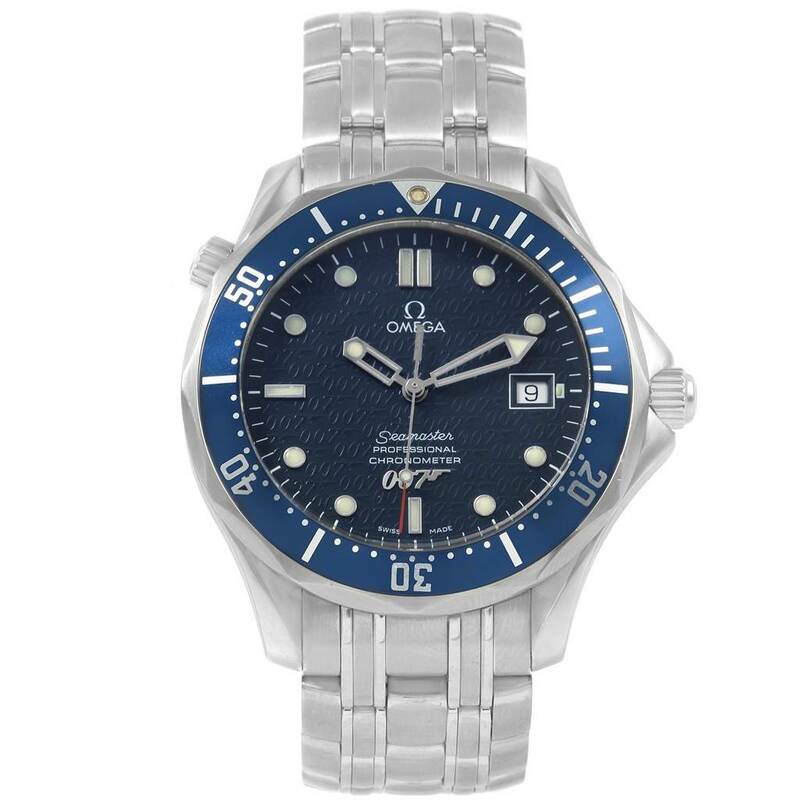 Omega Seamaster 40 Years James Bond Blue Dial Watch 2537.80.00. Officially certified chronometer automatic self-winding movement. 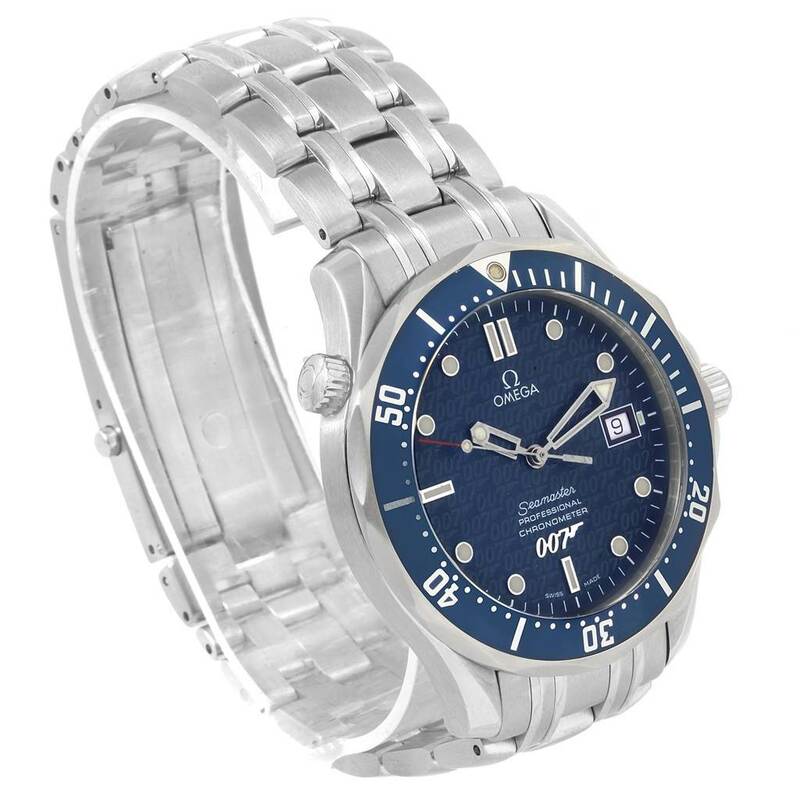 Brushed and polished stainless steel case 41.00 mm in diameter. Omega logo on a crown. Screw down back with commemorative inscription "40 years of James Bond" and 007 gun logo. 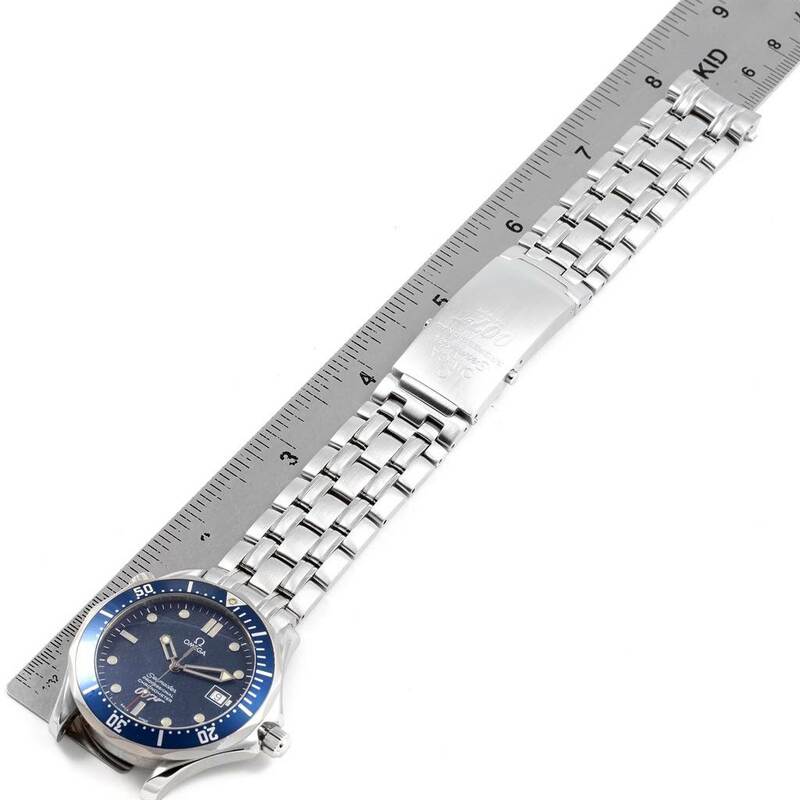 Blue unidirectional rotating bezel with minute markers. Scratch resistant anti-reflective domed sapphire crystal. 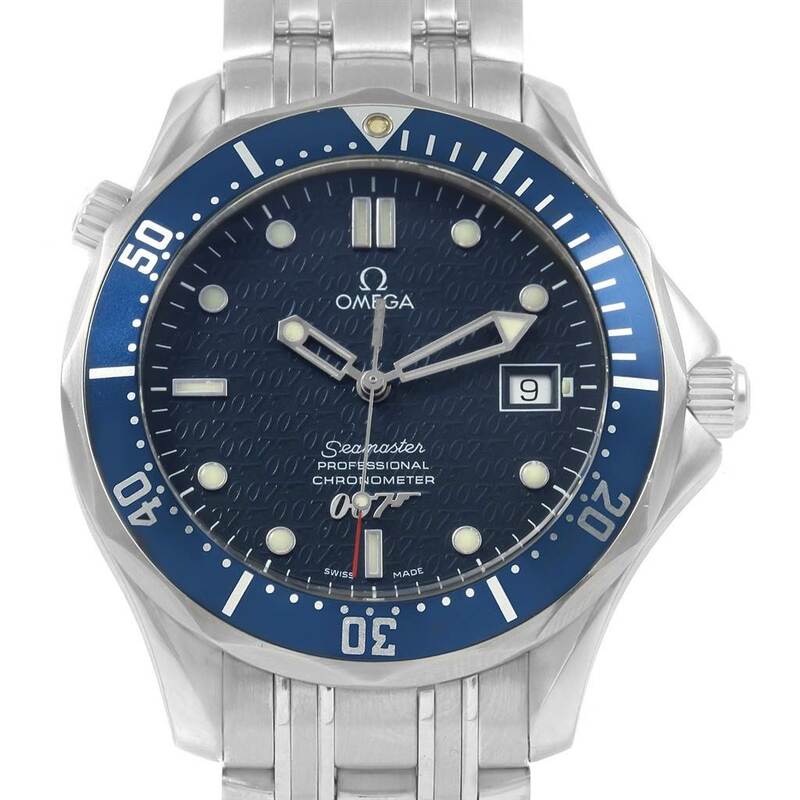 Blue dial with "007" and gun logo pattern. Luminous skeleton hands and hour markers. Date window at 3 o'clock aperture. Iconic rifled gun barrel emblem. 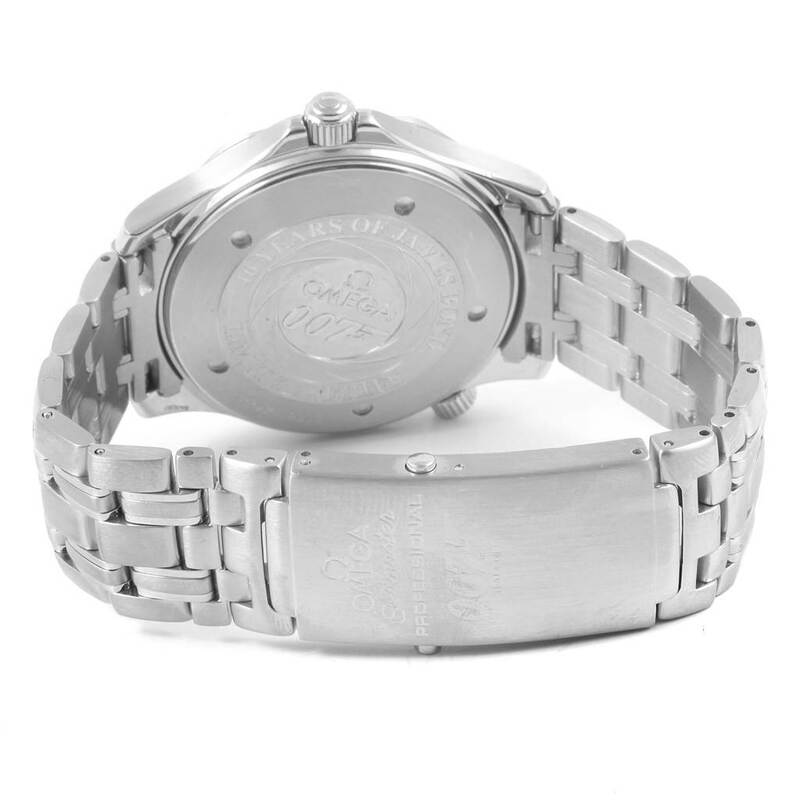 Brushed and polished stainless steel specially designed James bond series bracelet. Fold over safety clasp with two push battons. Fits 8" wrist.